All of the below information comes directly from job reviews written by Virgin Media employees based on 141 reviews. The support and opportunities to develop on both a personal and professional level. It's very varied and they really invest in their graduates; we get a lot of additional training, support and opportunities. The atmosphere in the office is friendly and people are always willing to help and share their experience. Get to use a range of skills and get time to spend on developing my skillset. Flexible, smart working and the ability for self-development and further learning. Both my placements so far have been challenging and interesting. I am given responsibility for my own area and to complete individual tasks. If I need support in any area, personally or professionally I know that there are a number of people that I can go to and trust. The company atmosphere. Everyone is proud and loves working here. The chance to get involved in large scale projects that will effect the company nationally. The people are fantastic and the atmosphere is amazing. It doesn't feel like work. It's challenging and enjoyable with lots of support. The people and the pay. The grad community, the learning and development opportunities and being able to work from home. The flexibility. My group is very independent so if I need to work from home or from a different office that is very easy to arrange. A lot of variety, challenges and opportunities to explore. Travel around UK. Busy & varied work, continually stretched by line managers & provided with support to fullfil potential. Most of all the people are a joy to work with and make the company what it is. Flexibility, the scheme means you will not find yourself in an FTE role but getting involved in a wide range of projects. Working hours are extremely flexible. You can come and go whenever as long as you get your work done. I love the fact I get to go to 4 completely different departments over the 2 years. Graduates are highly sought after and perceived in the business. people are friendly, you never feel as if you are inferior to any other colleagues, lots of variety, lots of responsibility, lots of different areas to work within, senior leadership exposure, good grad community. The graduate community, the opportunities within the company, initiative and proactivity are rewarded and encouraged. The company spirit and my colleagues. The people - I get on really well with people on the graduate scheme and off it. You read about a company culture before you start work and brush it off as something that can't really have much of an impact, but now that I'm here it is pretty clear to me that most people have similar values. Most people I have experienced working with are highly competent when it comes to their work but then don't take themselves too seriously out of it. Flexibility - depending on the team and line manager, individuals can work from home if required, or even travel across the country/Europe when necessary. Fantastic exposure, never treated as a 'junior' and given genuine responsibilities from day 1, aided by a lot of training offered. Flexibility, scope for opportunities, the people, salary. Having a team that supports you and encourages self growth. If you meet your targets and exceed them you can get bonuses. Everything is easy going and flows very well throughout the day, meeting great people, freedom of being outside. Different problems to solve, and the satisfaction of solving them and making a customer's day. The work itself is interesting and always varied. Interesting, Hands on, Exciting, Diverse, Meeting new people all the time, Benefits. No two days are the same - There is always something interesting to get involved in and really make a difference! Best things about my job is the freedom within the role. As an access planner I get to go out on surveys which allows me to have time away from the office. I like being able to be practical as well as being able to work from the office. The best things about my job is that there is constant support and training all the time. I feel that my job has a great sense of freedom being out and about in my own van on a daily basis doing jobs and helping colleagues out. Be yourself and let your personality shine through, the interview process is pretty varied so be confident in your abilities (they won't be interviewing you if you haven't already impressed them) and just be open to the experience as the activites could throw anything at you! Be sure you know about the key competencies they're looking for with regard to your role and be sure you can talk about them from your experiences, either from previous jobs or your studies. Know what the company values are and why they fit with you. They like to see what motivates and drives you. I was also asked to give examples of times I had used various skills. They used a personality quiz and asked questions based on the results of this. Be enthusiastic and really want the job. Make sure you let your personality shine though, it's important that employees are a culture fit at VM and they will know if you are holding back. Think carefully about what the question is asking and how you can relate this to the Virgin Media values. How can you show that you are ready to embrace the VM culture? Relate this to experiences and skills that you gathered throughout school/university. The Virgin Media application process involves a video interview, telephone interview and assessment centre. All of these can be a much more enjoyable experience by simply doing some research around the company and what it is looking for in its graduates! Prepare for the more traditional questions and if there's a curveball - remember the VM values you are trying to portray. All the interviewers who I came across were very friendly and made me feel relaxed. Carry the right mindset to be flexible and adapt to change, including opening your mind to a dynamic industry with complex engineering. Understand your own CV and what your experiences have provided you as a person. Try to find scenarios where you have demonstrated classic analytical and interpersonal skills (leadership, change, forward-thinking etc.). In the assessment day, be friendly, honest and engaging with everyone you meet. If you are honest and talk about your real experiences and opinions, then you will always have the evidence to back it up. Be yourself. Virgin is straight up, innovative, fun and fast paced. Let your personality shine through in your application. Research the values and before applying, ensure that you agree/also live by them. Research the company values and think of examples of when you have really lived by each value. Ensure you have in-depth knowledge of the company and telecoms market, having up to date commercial knowledge is very beneficial. Go for it! Show you are passionate for the area that you are applying for and how you can really make a difference. Show your personality. Virgin is all about its people, so get stuck in and show them what you're all about. Take a chance and impress. Relax, be honest, express yourself and be open. Make sure you brush up on all the new innovation and technologies being used. Go further than the website, and have a strong opinion on it. Look at our company values and only apply if you feel you can relate to them or would be passionate about embracing them. Research into our projects so you know what we are doing and how the network operates. Know about the telecoms industry and where it is going in terms of innovation. Understand the company and its values and incorporate this knowledge into the application forms. Just be yourself- cheesy but true. Virgin is so relaxed and they like to see the real you, not some corporate formal version that isn't a true reflection. The main questions were what attracted you to the scheme/ to the company and how do you feel about moving locations. Learn about Virgin and the things they are doing, projects they are running, competitions they are hosting, new products they are launching anything about the company and what they stand for. Talk nice and slow, keep it short and make sure to talk about what specifically you did on a project. When asked about a time when you might have used a specific skill make sure to explain the situation, what you did and the results. Don't be afraid to stand out - don't necessarily say what you think people want to hear. Show personality and interest in the company - ask questions. Take your time and really think about what Virgin Media are looking for in a candidate. Be yourself and be socialable. Be yourself (cliche!) and understand the role and business. Virgin are looking for people who fit their culture, so being yourself will help you a lot! Application Advice: Ensure you have a well balanced CV. It is fine to be intelligent and focus on your studies, but make sure you get involved in the community, whether that be charity work or bringing your hobbies into the public. Interview Advice: Always be honest, we can spot a fake! Learning about the company culture and values beforehand is a must, as with every company we want to hire the best talent, but also we want to hire people that we can see ourselves working with in the future. The assessment center is tough, so make sure you get plenty of rest the day before. If you are applying for Virgin Media Business scheme rather than Virgin Media, fully understand the difference between B2B and B2C. They recruit based on people who align to the values, so try and be as outgoing but honest as possible. Be yourself and do research on Virgin Media Business as well as Virgin Media. Virgin look for honest and personable people that will fit in with the brand. Basic competency questions and then some group tasks related to telecoms and a presentation to pre prepare. - Be confident and most importantly be yourself! Show your uniqueness and that you're a human. Find what sets you apart from the rest of the crowd and flaunt it. Show that you have initiative and are forward thinking. Be yourself, show that you have drive, passion and determination. Bring your whole self to the interview and don't be afraid to hold your personality back. I was asked a lot about my hobbies and how I dealt with certain scenarios which give you the chance to show your decision making rationale and how you deal with certain situations. Have lots of competency examples - doesn't all have to be work experience. Just wanting an all around person, who has good qualities. It's a grad scheme - experience isn't needed! To talk about the things you are passionate about outside the actual job. Virgin is looking for well rounded people and are interested in the indivdual. Any achivement, hobby, skill you feel is worth shouting about - make sure you do! Be yourself! They don't expect you to be an expert of the industry but somone who is willing to learn and work hard. The application was fairly standard, a bit of knowledge of the industry and Virgin Media's growth targets would be beneficial. I would also recommend doing some research on the parent company - Liberty Global. I don't remember being asked any particularly strange questions when I was interviewed. Being a second-year graduate now though I have had the opportunity to take part in the interviewing of prospective graduates - I would immediately mark down someone that said they had done something but then couldn't back it up with evidence. The other thing I dislike in interviews is people giving answers they think I would like to hear rather than offering their actual thoughts. It's usually quite easy to tell whether someone believes in what they are saying or not. Be real, don't be fake and pretentious as VM prides itself on being relatable and approachable. Don't be too corporate or overly formal as VM staff are encouraged to be friendly yet capable, any air of arrogance/cockiness will not be appreciated from my experience. Get to know the company and have a think about the industry; what direction it's going in and how Virgin Media are best-placed to compete. Don't be afraid to use wide-ranging examples in competency questions - interviewers want to hear the range of things you've done, and not just previous internships. Also, existing graduates are often part of assessment days, which helps settle you into the day a lot more. Live the values, be honest , have a laugh. Why virgin? Why this industry ? Research the company well and keep up to date on matters that would affect the business (e.g. changes in technology). Keep to time in written and group exercises. Please tell us about an analytical method you have used, either in your degree or work. Know exactly why you've chosen to pursue finance within industry rather than choose audit and revert to industry later. Be prepared to work hard, studying and undertaking a strenuous series of placements needs good time management and dedication. Understand the ethos of the company and what their values are. Be prepared to be open and candid, the best candidates I came across were those who were genuine and not afraid to reveal their personal hobbies alongside their formal education. Just be yourself, it doesn't matter how smart you are as long as you can apply yourself to whatever you come across. It's more about the type of person you are then what you have achieved. Be genuine. You will have to work to some extent with the people that interview you, so you need to act as though you would in the office with them. If you're unsure of which function you want to work in, this is a fantastic opportunity to gain experience of the end-to-end functionality of a business. From Strategy, Marketing, Sales and many more placements up for grabs. My advice would be to be yourself, apply if you truly believe in the Virgin Values. Again, be yourself. Everyone at Virgin is really nice, so there is no need to be nervous/scared. It's a great opportunity to showcase your personality! Showing that you can be a great people person with solid communication skills is vital, as well as being able to think outside the box to smartly disrupt the market in various ways that the company moves. Be yourself, and show real passion for the brand. It's what gives Virgin Media its red hot reputation in the market and being a good cultural fit with the company will allow you to make the most of your career. Be yourself and make sure you do your research on the company and our strategy for the future. Do your research on the company/industry and get relevant experience! Be yourself! There's often more than one job, so don't think of it as you vs. everyone in the room. Completely be yourself, VM are looking for unique hard workers who will fit into their open culture. Research the quadplay market and have knowledge on current events that might affect Virgin Media. Research competitors as well as they may be used as examples in group exercises. Research challenges and news facing the industry to help set yourself apart from everyone else, be willing to go the extra mile and do your research. Be calm, be yourself, remember, by the time you're at interview, they're already considering to hire you. Know your CV inside and out. Sounds cliché - but just be yourself! We're big advocates of being true to who you are, so let your personality shine throughout the application process! Ensure you have a wide range of examples you can pull from for questions asked and try and be natural! Know the Virgin values, show some personality and put a lot of time into your application. Be yourself, and try relax as much as possible. Show some personality, Virgin want to hear about you and see some character! Be yourself! This is not a cookie cutter sales person process! Be yourself. Don't try too hard, relax and have fun with it. Ensure your CV matches you and your personality as the company is really looking at you as a person, your degree gets you in the door but you seal the deal. Show how you have applied quantitative methods to solve real problems in the past and include your toolset and future aspirations in this sector. Be yourself and show your passion. Be honest. Its not only about the company finding the right person but you finding the right company. If you are honest then you will find the company you will best fit in. All the standard competency questions. Be original with your answers, I would say give an example they wouldn't expect but still demonstrates what they want to hear. Be yourself, Virgin Media like to see how YOU fit in with the companies values. The best way to do that is to show you true personality. Know the organization and its market. Be yourself - Virgin are not looking for corporate candidates who can only follow rules. They look for open minded individuals who are not afraid to challenge the norm and work through problems they haven't seen before. Be yourself and understand what the role is about/ your strengths and weaknesses and be prepared to discuss your university dissertation in laymans terms. Have a good narrative as to why you want to work at a Virgin company and VMB specifically. The company cares about the person, their personality etc. rather than just qualifications. What the Virgin values are, how that relates to you and how they can be applied to Telco's. Be yourself, relax (easier said than done, of course!). Be honest. Make sure you understand how the challenges and opportunities in B2B differ from B2C. Make sure you research beforehand about Virgin Media's values and Liberty Global, our parent company. Ultimately be yourself. Don't put yourself under too much pressure - think of the day as a useful experience even if you don't get the role. Enthusiasm for industry. Have an appetite for both leadership and technical training. Competencies in relation to the values. Experience isn't necessary or a relevant degree. Don't be boring and by the book. Put in the odd joke if it comes naturally during interviews. My interview seemed like more of a conversation which put me at ease and helped me to better get my points across. It also meant I was able to learn a bit more about the company at this stage, so I could be confident I would enjoy working for Virgin Media. I was asked what I knew about the company. I was asked what I knew about finance and the role of a management accountant. I was asked to tell them about a time when my opinion was changed by someone else. Do your research on the Scheme, the Company and the Telecoms market in general. Know the competitors and different product offerings. The Interview is more of a conversation - be relaxed, conversational and don't be afraid to ask questions and demonstrate interest in the organization as a whole and how it operates. Don't be afraid to use examples from all sorts of sources when answering competency questions. It's often the most unexpected answers that stick out the most! In group exercises, don't be afraid to put your ideas forward, even if you're not 100% sure about them. Through making it to the assessment centre, you've proved you're good enough technically, so show assessors you're not afraid to step up. Also, a number of existing graduates are there helping out the assessment, which makes for less intense interviews than that of some other companies. It's a long day, you're always on show, but remember to enjoy it! Be yourself, be honest and take the opportunity to learn if it is the right place for you. Make sure you understand the Virgin values before you arrive - you'll need to fit into the culture. Also make sure you've thought about the challenges of selling to businesses rather than consumers as you'll need to make clear that you understand the difference. Stay relaxed - we are not a super corporate company so be natural! Focus more on you as a person rather than your academic achievements. Decide if you believe in the same values as VM. Questions relating to the values. Do the relevant research, put the time into your application and try to stand out! Why VM, Why Finance etc. Also about the CFO's responsibilities. Be yourself and try to emphasis your current awareness or interest in the industry. In my experience the two biggest things the company looks for at the application stage is what you do in your spare time, why you want to work in this industry and just about you in general. A significantly lower emphasis is made on what degree you did as a lot of graduates are from STEM subjects such as Physics, math and even one person did Biomedical science. Just be as genuine as you can and at the interview stage your personality and how you think or what you already know plays a very key part. The company really admires honesty with an eagerness to learn. Finally as with any company it would be worth being reasonably informed on what the company is planning to do or has already done so that you can potentially apply that to your answers. Please do not mention things you vaguely or do not honestly understand especially when it is technical or about the company as they will catch you out. Just be honest and you will be fine. I would say make sure you do your research and just be yourself. They are looking for the people that will fit in at Virgin Media and add value where they can. It's not all about grades and credentials but also about your approach and the sort of person you are. In terms of research just make sure you know what Virgin Media really does and a rough idea of it's structure. Also take a look at our values and how you align to them. Make sure you know what Virgin Media actually does! Make sure your personality comes out in your application. You might have all the credentials to be good at the job but there is no point if people don't want to work with you! 100% be yourself, they are interested in you as a person and how you will fit into the attributes they look for. This can be more difficult as you need to showcase yourself on paper before actually meeting anyone. Take your time to fully answer the questions and if you have to provide an example of a time you showed an attribute, be sure to say what your role was, any challenges you faced, what you learnt and what you might do differently next time. It's okay if you don't know a lot about what the role will entail/the details of the business, use this to your advantage that you want to develop your skills and learn about the industry. The interviewers are always friendly so it's good to ask them questions. Showcase yourself and use real life examples to answer questions. Show a passion for Virgin Media. Display an understanding of how Virgin Media work, what our products are etc. When applying ensure you do significant background research on the role and what Virgin Media offer. Once past the initial application stage it is so important to show off your personality as well as your technical ability. Throughout the latter stages of the application stages I would argue that the personality of the applicant becomes more and more important. Don't worry if you don't have any particular experience in Telecoms or engineering, if you have a STEM background, the assessors will be confident that you will be able to pick up the skills required over the course of the grad scheme. The interviews I went through in the application process for Virgin Media, particularly in the assessment centre stage, were far more relaxed than some other companies I applied to. 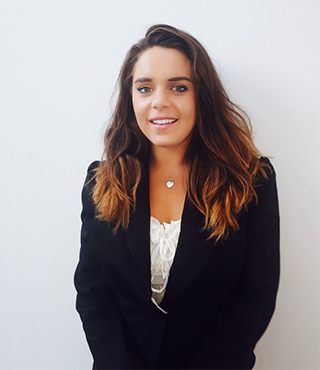 My advice would be to try and mirror the relaxed atmosphere, be open and friendly to those around you especially in the group activities as it will demonstrate that you are a person who would be great to work with in a business environment. Also, do your research! Background knowledge of the company is vital for any interview at any company. Be yourself, because it is obvious when you're trying to be something you're not and people respond well to being genuine. Come to the interview without any preconceptions and just take it as it comes. Respond naturally and genuinely, asking questions where relevant and be enthusiastic about *yourself* (which is very different to being arrogant). Be yourself! 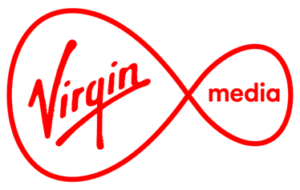 Research Virgin Media, understand our values and why they are important to us. Show your knowledge but also your fun side. Know why you want to work within an organisation rather than within an audit practice. Do your homework and understand what the company is currently working on and really show that this isn't just another application in the pile. Show genuine enthusiasm and give honest answers to all questions (there are no wrong answers). Be yourself - the company invests in people. Think before speaking and be sure to listen carefully. Make sure that you stand out on your application form and CV. Make sure your CV is clear and concise and don't miss off any relevant experience! And always, always spell check. Be yourself- you will have to go through interviews and group exercises so it's important to make sure that you are the correct cultural fit with the company. Make sure you've read up on the company- particularly, recent things going on with the business and what interests you. VM accept applications from a wide variety of roles so don't focus on specific technical skills. Instead emphasize your enthusiasm to learn new things, demonstrate some understanding of the telecoms market and have plenty of examples of soft skill development. Think about what skills and examples you have that make you look like a generalist and someone who is not afraid to roll up their sleeves and get stuck in. Have a think about the telecoms industry, the key issues and the competitors. Also, Virgin Media like to think about the future, so perhaps where the industry might be in the next five years. Personal and company values are important when working for Virgin Media. Show independent thinking but be open to suggestions. Show willingness to learn and adapt. Be prepared to be mobile and use your own initiative to carve a strong role for yourself, reach out to as many people as possible to build your network. Don't be put off by hard questions, stick to your guns and back your own opinion as there isn't always a right answer. Try to show off your personality in the pre-assessment day stages of the recruitment process. Be yourself- cultural fit is the most important criteria at Virgin Media, especially when recruiting graduates. Tips, questions you were asked etc. Be open and honest, if you don't know or understand something, just say! Have a really and genuine positive attitude, if you're a moaner you won't get on well in Virgin. Feel free to start a discussion, the interview isn't a grilling. In group tasks the key thing is how you work together rather than what you deliver, be positive about ideas instead of dismissing them. Be yourself - the only way to not only get a job but also to do well once you're here is to be who you are. We don't want a corporate, hot-headed individual. We want someone who is focussed on achieving results whilst remaining human! Really know about HR and it's link with the strategy. HR isn't defined as "making the employees happy"! Be yourself. Do you want to work for a fun, growing company? Challenge the norm and think different. If you're applying for this role, understand why you want to work for a Virgin company and Virgin Media specifically? The rotational scheme is ideal for those wishing to rotate across multiple functions so be sure to express your diverse skills, skill set and adaptability. What are your hobbies? What do you think of when you see the Virgin brand? My advice to anyone applying to this role would be to keep an open mind. The graduate programme gives an excellent opportunity to experience a number of different roles within the company and get a broad experience across a number of departments. Do not become too focused on a specific role but look to gain as broad a knowledge as possible before narrowing in on your preferred area later on. For the interview process the most important thing to remember is to be honest and open. People are the most important thing to Virgin Media and therefore it follows that the focus on interviews is how your personality comes through and not necessarily academic achievements. Be friendly and demonstrate that you are capable of working in a team environment and as an individual. The open days are set in a relaxed environment so try to just enjoy the day! The right attitude is key, you need to be enthusiastic, a team player and willing to have fun. That's what they're looking for in interviews more than anything, the rest can be trained. If you can provide an array of examples in your answers that's always good, and do your research; we are in a highly competitive industry and you should be aware of what is going on. Try your best to be relaxed.. and smile lots! The good thing about Virgin Media is that they're all about seeing what you're capable of at your best, not testing you to see you at your worst. Interviews are calm and friendly, so don't panic! Try to vary your answers so that you are covering a range of skills you have. Remember to cover both soft and hard skills. Get as much of your personality through your application as possible. Be yourself. It's so noticable when you're trying to be someone you're not and that's exactly what Virgin are NOT looking for. Social and communication skills are just as important as acedemic achievements at this company. Be prepared for a video interview! There is a bit of a divide between the company and parent company even though teams work together. SMART working hours, which include WFH and flexible working hours. Not all teams/departments follow the same rules around SMART working so this can vary greatly across the company. The salary, benefits and the ability for self-improvement and learning/development. Re-structure of Virgin Media and its organisation within its parent company Liberty Global has probably been the most confusing experience so far. Positive, casual, working Environment and availability of Support. Atmosphere - everyone is super friendly and make you feel comfortable. Grads have the opportunity to do a professional qualification and gain insight into many areas of the business. Exciting opportunity to work in different offices. Lack of organisation, outdated systems and the constant resturcturing of employees and departments. The brand is established & renowned for being a challenger in the industry, so we're constantly striving to innovate & improve. We're growing, unlike many companies & the whole organization is motivated to go after this growth year on year. The working culture is great- the people make the company & the brand what it is. The people are amazing and extremely supportive. Exciting and forward moving industry. Lots of opportunity to progress. The time it takes to get things approved. Depending on the team, flexibility to work from home paired with an excellent work/life balance. Inconvenient office locations - main/biggest office has been in Hook and will soon be moving to near Reading, merging a couple of other awkwardly situated offices. The Hammersmith office is too small and restrictive with regards to certain jobs needed to be done and would be better if this was expanded or relocated to a bigger office. Results-based work ethic, which is therefore very flexible around hours worked. Challenging yet relaxed work environment. Strong company with lots of financial backing from parent company, challenging main incumbents in TV and Broadband markets. Most services only available to c.50% of the country. Positive and energetic business with a great company ethos. Reactionary nature of business resulting in working late to meet executive expectations. The social aspect. The brand is associated with being 'fun' and it is really a fun place to work. Not much I can say here... If I had to I'd say that there is more we could do with networking? Especially with wider teams/areas. Location, personal technology e.g. old laptop. Location - Hook isn't that central to anywhere. Office Locations..Hook and Bradford aren't ideal! Some management is difficult. Can feel like there is a lot of bureaucracy. Virgin brand, fun atmosphere to work in. Other grads can be spread across the country so often don't see them unless we're in training together. Relaxed working environment, being treated as an equal with responsibilities. Good benefits, salary, opportunity to travel. Get's very corporate at the top, parts of the company are very disconnected, great leadership and teams but communication from senior leadership has it's issues. Flexible - the culture is really good for allowing work-life balance and for allowing you to shape your own experience of work by doing the things you enjoy/are good at. Lack of standard process for basic things and slow pace of change in getting these in place. The company is very large. This means that sometimes it can be hard to find the person you have to contact. Sometimes that person may have recently left the company and then finding out who their replacement is can be a bit tricky. There are a wide variety of career opportunities available as the company is constantly evolving. Huge growth plans, delivering a broadband product that is genuinely the best in the market by a long way. Growth can be hindered by external factors such as red tape around wayleaves and other such barriers. its surprisingly big! can sometimes find yourself doing the same as someone else!